Please fill out the form below to download the research article. 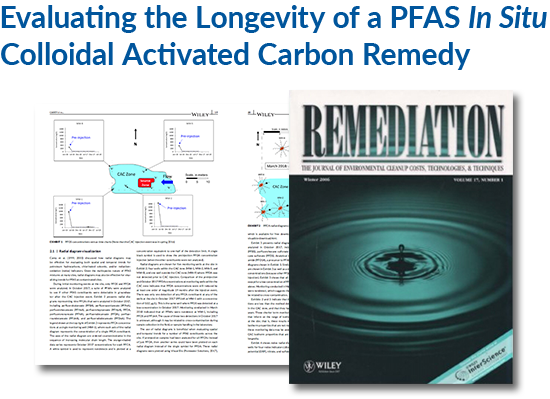 This article published in Wiley's Remediation Journal uses various visualization and modeling methods to evaluate the in situ remediation of PFAS via colloidal activated carbon (CAC) at a site in Central Canada. A three-dimensional reactive transport model (ISR-MT3DMS) was used to indicate that the CAC remedy implemented at the site is likely to be effective for PFOS remediation for decades. The in situ CAC remedy for PFOS at this site is likely to be effective for decades. The only alternative to using in situ CAC injections at this site would be Pump and Treat (P&T), which would have to be operated for decades due to the ongoing nature of the PFAS source. It is also possible to combine P&T and CAC in a site management strategy, such as using P&T at a site boundary where PFAS concentrations are higher, and implementing CAC barriers downgradient to mitigate plume migration. Due to the relatively low cost to implement the CAC, and the ability to adapt the remedy in the future, this remediation approach may be viable at other PFAS sites. To download the full article please complete the form on this page. 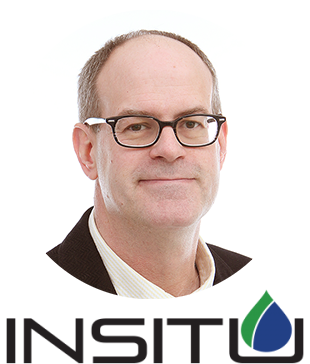 Dr. Grant Carey is President of Porewater Solutions, and is an expert in mathematical modeling, NAPL characterization, and environmental forensics, with a focus on both litigation and regulatory projects. Dr. Carey has a Ph.D. in Environmental Engineering from the University of Guelph, and has developed industry-leading modeling and visualization software including In-Situ Remediation (ISR-MT3DMS) for optimizing remediation and modeling diffusion-dominated transport, as well as Visual Bio, the NAPL Depletion Model, Vapor-2D, BioRedox-MT3DMS, and the Remediation ToolKit which includes SEQUENCE, BioTrends, and BioTracker. Dr. Carey is also an Adjunct Professor in the Department of Civil Engineering at the University of Toronto, where he is collaborating on research related to back-diffusion and long-term strategies for remediating complex sites. He has published or delivered more than 90 technical papers and short courses, and was previously a trainer for ITRC web seminars on Mass Flux/Mass Discharge, and Remediation of Contaminated Sediments. 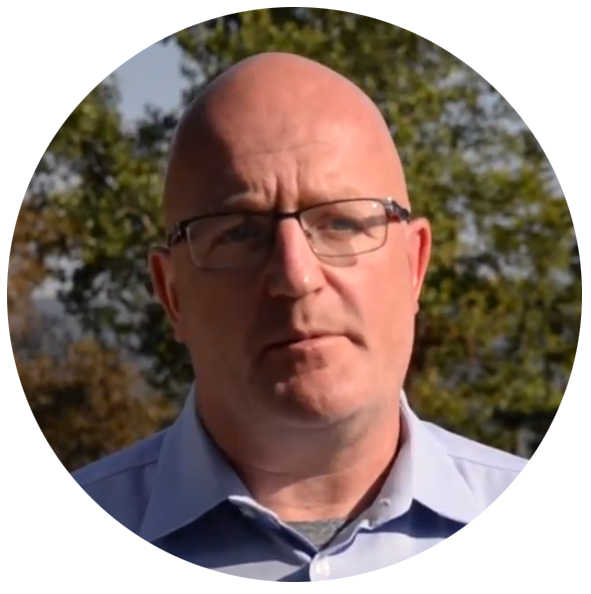 Rick McGregor is the President of InSitu Remediation Services Ltd and has over 26 years’ experience in groundwater and soil assessment and remediation. Rick has worked in over 30 countries and has authored numerous papers on groundwater assessment and remediation. Rick holds a M.Sc. from the University of Waterloo in hydrogeology and geochemistry and is a Certified Ground Water Professional in Canada and the United States.